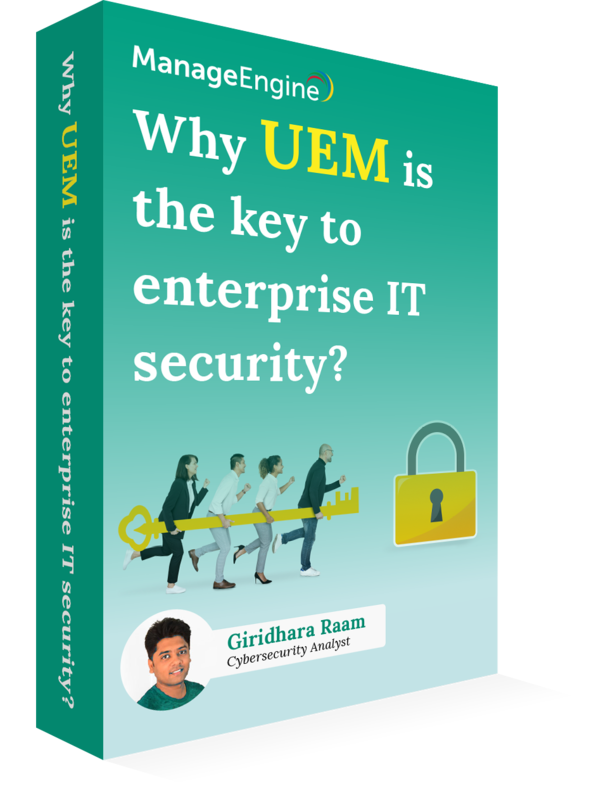 Why UEM is the key to enterprise IT? Most IT admins have asked themselves at some point in time, "How do I achieve and sustain enterprise IT security?" With cybercriminals sneaking into enterprises using new techniques every day, IT administrators have never been busier. Download your free e-book to understand the challenges in sustaining enterprise IT security, and learn how to overcome these challenges by implementing security-first procedures, securing corporate and personal data, maintaining user privacy, and increasing employee productivity. Easily managing even complex IT environments. Securing corporate data and offering user privacy. Best practices for keeping attackers at bay.